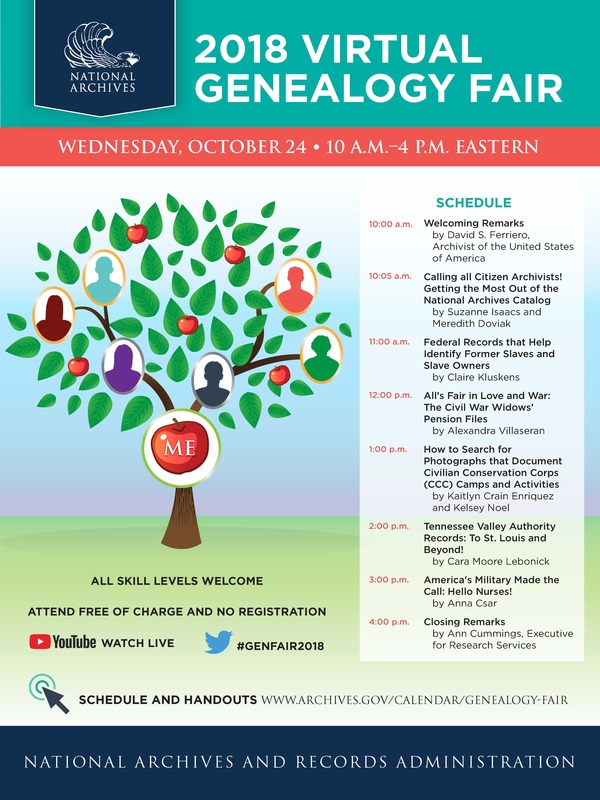 On Wednesday October 25, the National Archives will host the fifth virtual Genealogy Fair via webcast. The entire schedule is available at National Archives Virtual Genealogy Fair. 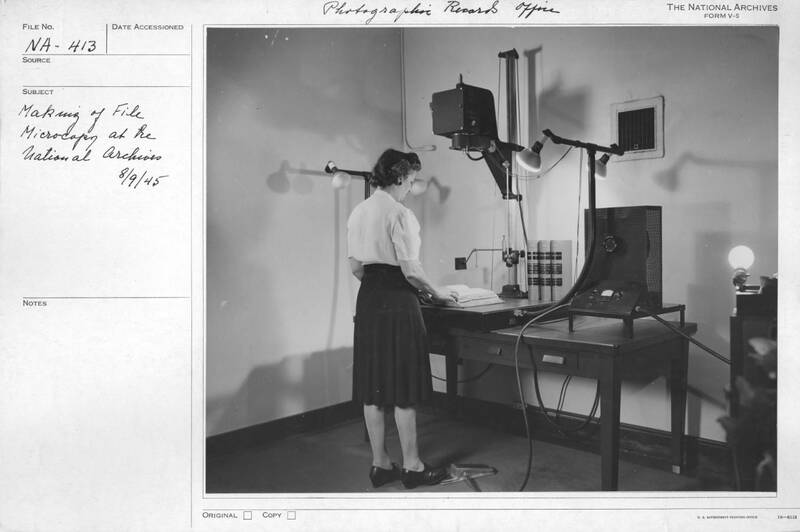 In Session 5, at 2:00pm, staff from the Electronic Records Division, John LeGloahec and Jana Leighton, will present on "Locating the Relocated: Deciphering Electronic Records on Japanese Americans Interned During World War II. During this presentation, John and Jana will provide guidance on how to search National Archives Access to Archival Databases (AAD) as well as how to find information on digitized textual records in the National Archives Catalog. 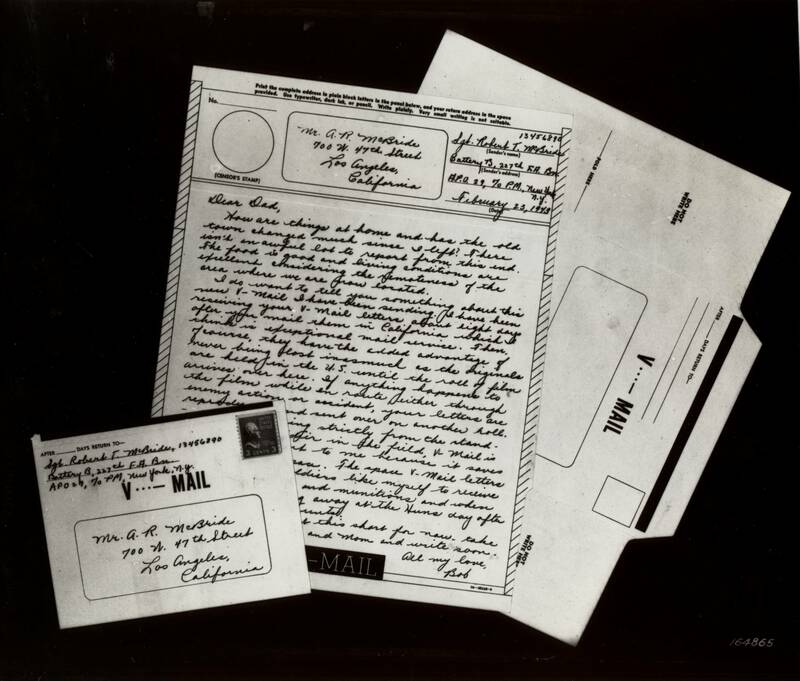 We will also demonstrate how to use the information in both systems to get a more complete picture of our holdings of Japanese American internee records. John LeGloahec will explore how to use the Records About Japanese Americans Relocated During World War II, available through AAD. This set of records has become a popular genealogical tool that identifies Japanese Americans interned in several War Relocation Authority camps. Jana Leighton will discuss genealogical information and the availability of records for download from the National Archives Catalog located within two series of Record Group 210: Records of the War Relocation Authority. On October 15, "Today's Document from the National Archives" was a photo from the Granada Relocation Center in Amache, Colorado, which was closed on October 15, 1945. Jana and John hope that you will tune in to hear about the Records of the WRA and the impact on Japanese Americans during World War II. 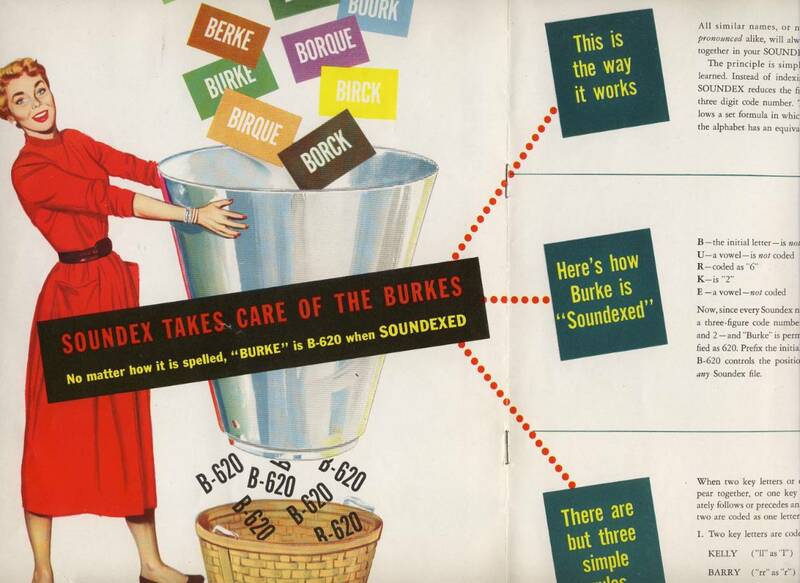 October 10 was Electronic Records Day (1010 - data is all made up of zeroes and ones, get it?) 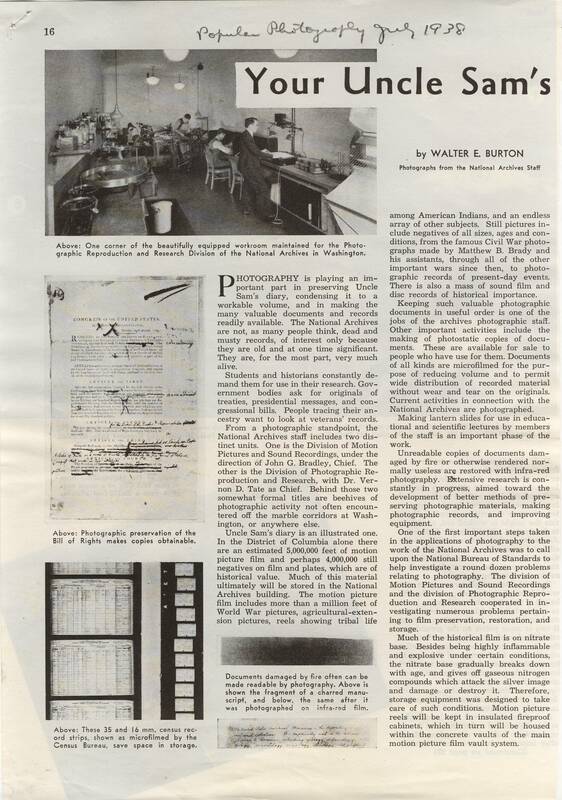 and two reference staff members from the Electronic Records Division posted a blog post on the "Pieces of History" blog. We hope that you enjoy it. John LeGloahec: I joined the National Archives in June of 2006 as an archives specialist in the Electronic Records Division, working on processing the electronic records of the federal government. One day, I received a message from a researcher asking about some of our records, the Gorgas Hospital Mortuary Records (National Archives Identifier 570981). I spoke with a member of the reference staff, and she told me to go ahead and answer it. I was immediately bit with the reference bug. Within a few years, I had started spending half my time working on reference requests. Emily Graves: I joined the National Archives in December 2016 in my current role, as an archives technician in the reference section of the Electronic Records Division. I’ve always had a love for electronic records since my first days of graduate school. It’s easy to confuse “electronic” and “digital” as synonyms, but in reality, electronic media has been around for a long time. 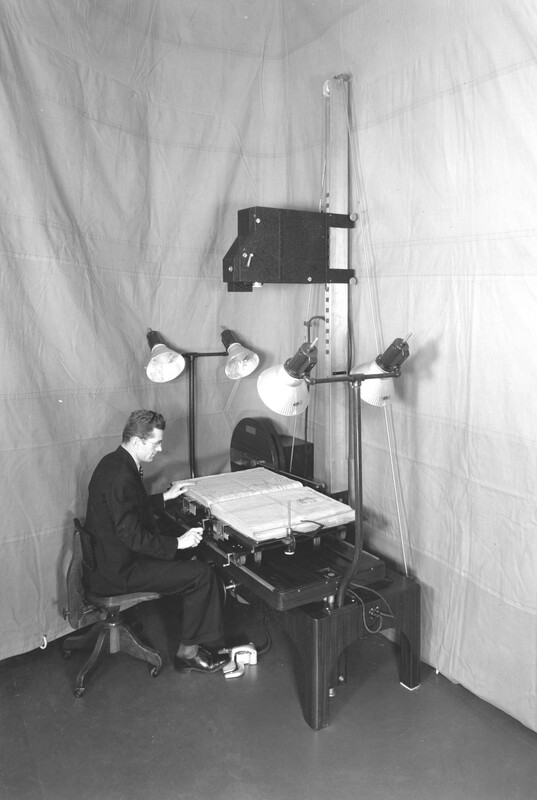 In fact, the federal government has been generating electronic records since the first agencies made use of early computer prototypes in the 1950s. 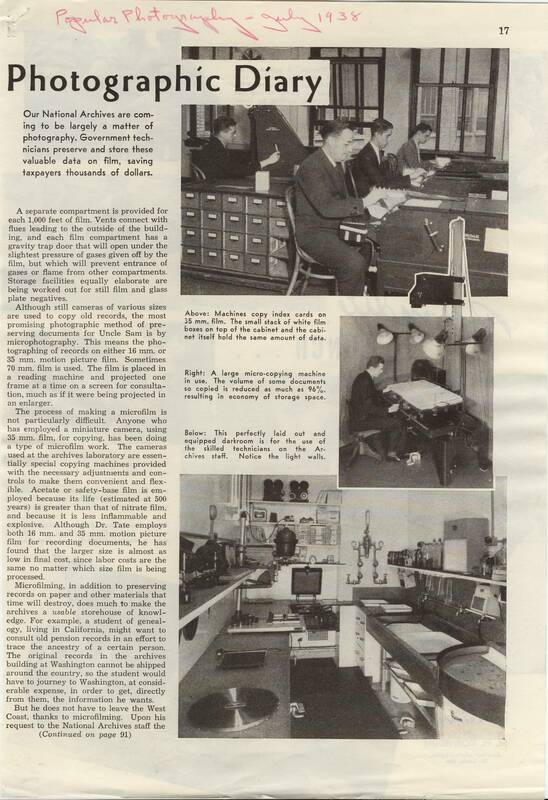 As a result, the range of electronic records in the custody of NARA is quite rich and varied. As someone working with access and reference, it’s always fun to watch researchers realize this and see all the valuable information our records can yield. John LeGloahec: After I had been at the Archives for about four years, I became a full-time member of the reference team. 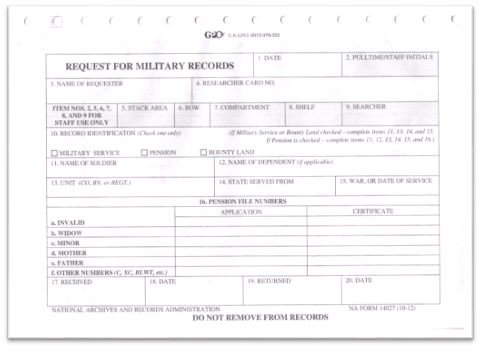 I started out answering the “routine” requests: “I’m looking for my service records,” “my father was killed in Vietnam,” etc. I soon graduated to the more complex requests, dealing with specific data files in the custody of the Electronic Records Division. Emily Graves: As a newcomer, a lot of what I’ve had to learn is the lay of the land—what systems are our records going into to preserve them? To provide access? To track them? Part of my job is to be able to use and understand these systems, which have grown up in the landscape over the course of years and are all inter-related. For example, I had a researcher inquire about the Area Resource Files from the Department of Health and Human Services, which contain county-based information on a variety of health-related variables. The researcher wanted to know how far back in time the variables went—and this turned out not to be an easy question! 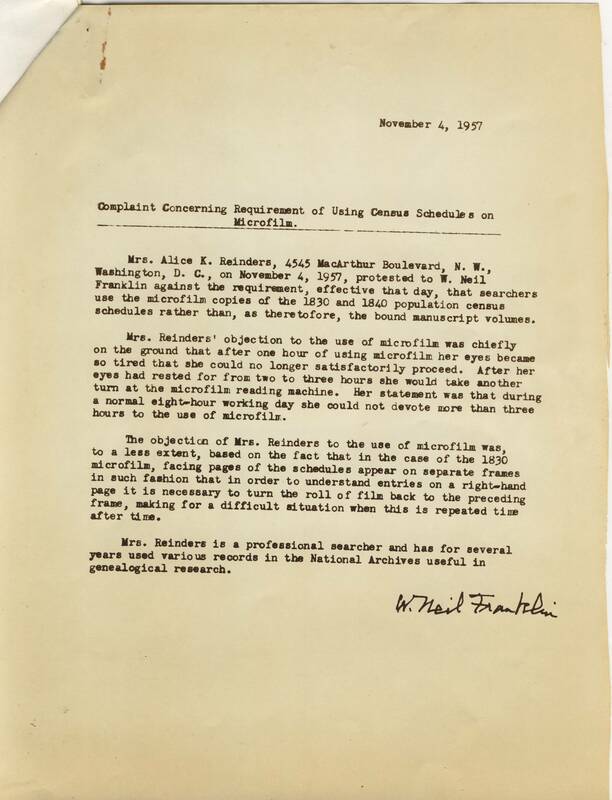 After confirming the dates in the National Archives Catalog, I had to use two other finding aids, as well as look at the paper documentation, to confirm that only some the variables had data that went all the way back to the 1940s. 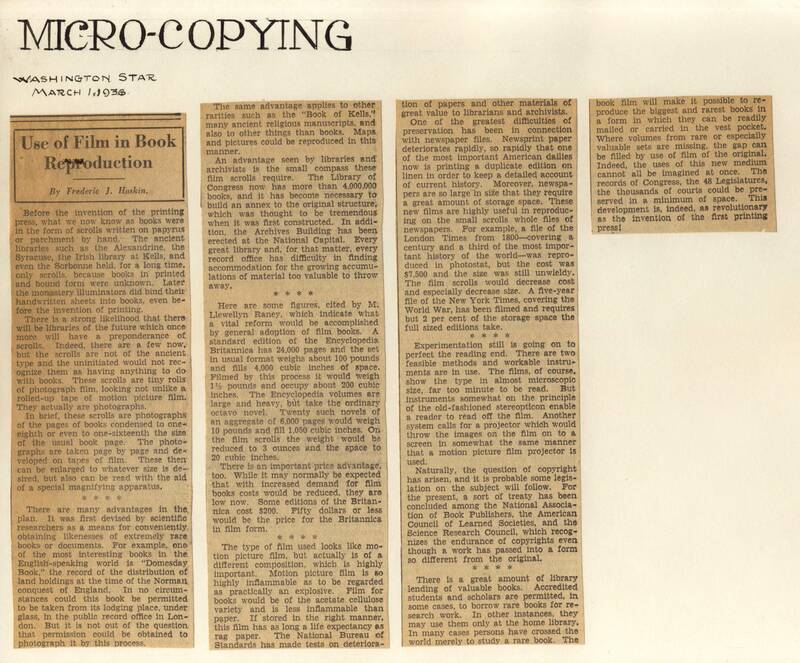 John LeGloahec: The next step in my evolution as a reference archivist was to begin assisting researchers with reproduction orders, wherein researchers would request that copies be made of specific files in our custody. During this time, we also began to see a spike in requests regarding the records of the Home Mortgage Disclosure Act (National Archives Identifier 2456161). The housing bubble had recently burst, and researchers were looking for answers in the historical record of previous mortgage applications. 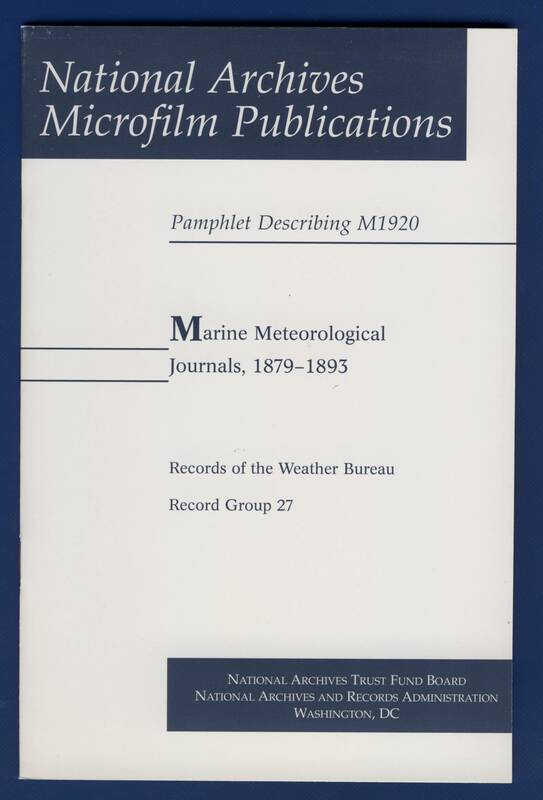 Over the next few years, the Division fulfilled several orders for the HMDA data files. 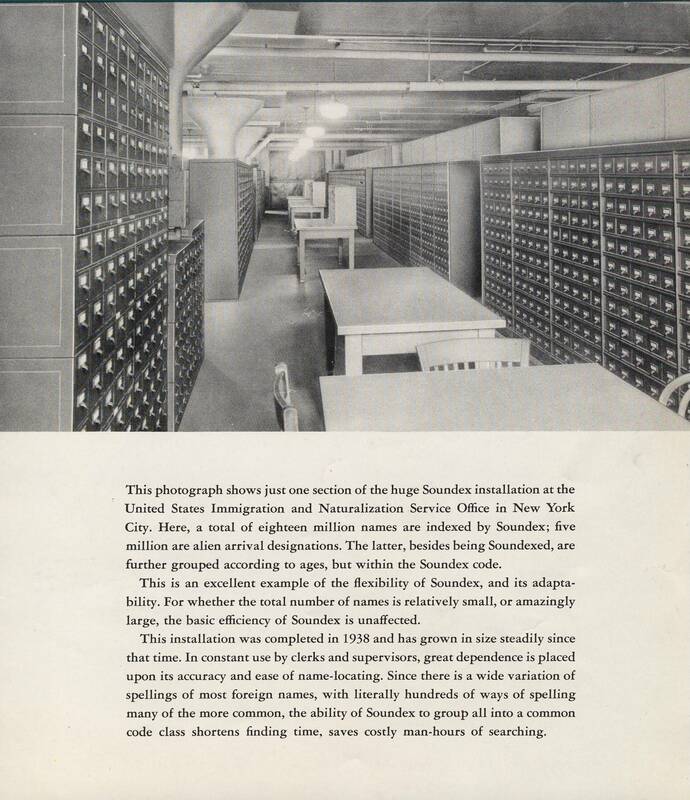 Around the same time, the National Archives Catalog was being revised and files were being uploaded directly into the catalog for researchers to download directly—the Division worked on making these files available for download—lessening the number of orders that Division had to fulfill. The ordering process has also evolved during my time with the Division. Where we would normally get between 30 to 50 orders for files, the number has declined with the advent of files available directly from the Catalog. 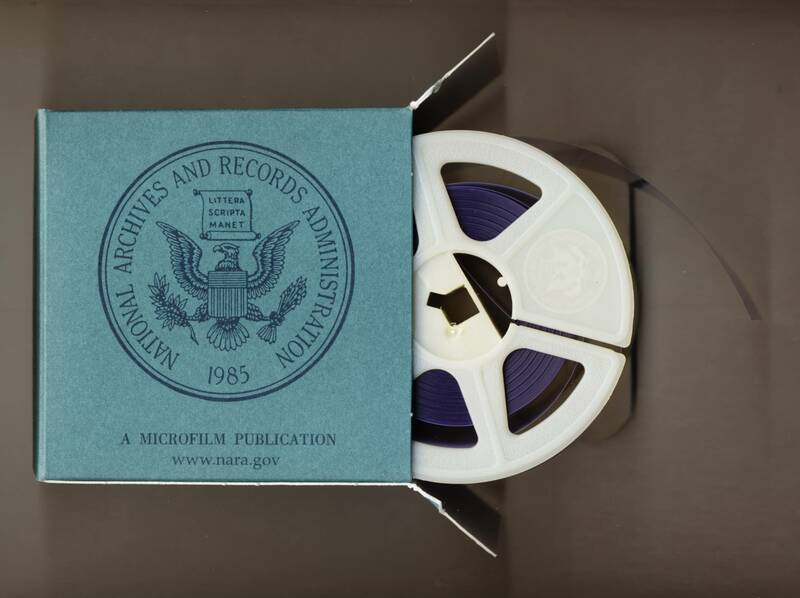 In addition, within the past few years, the National Archives created an “e-delivery system” where files are uploaded directly into the “cloud” for researchers to access via a secure link. 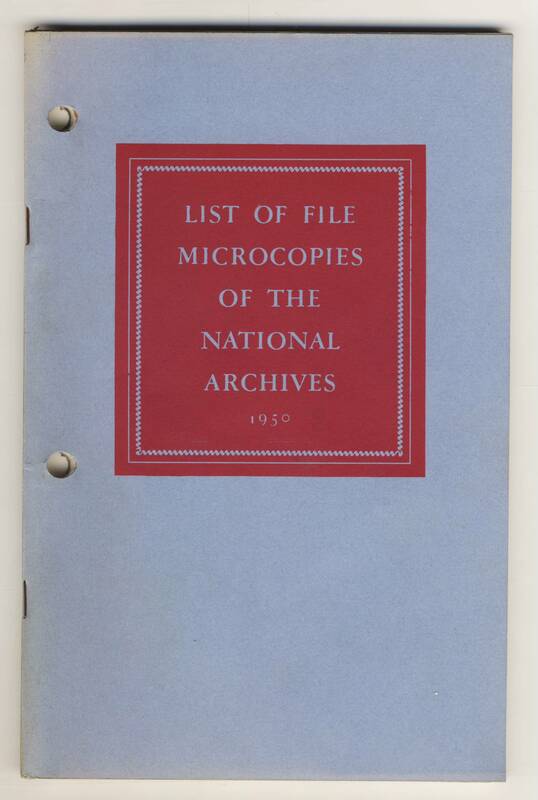 This has greatly assisted researchers who cannot easily travel to the National Archives, specifically international researchers (and we don’t have to fill out those exhaustive customs forms any longer!). 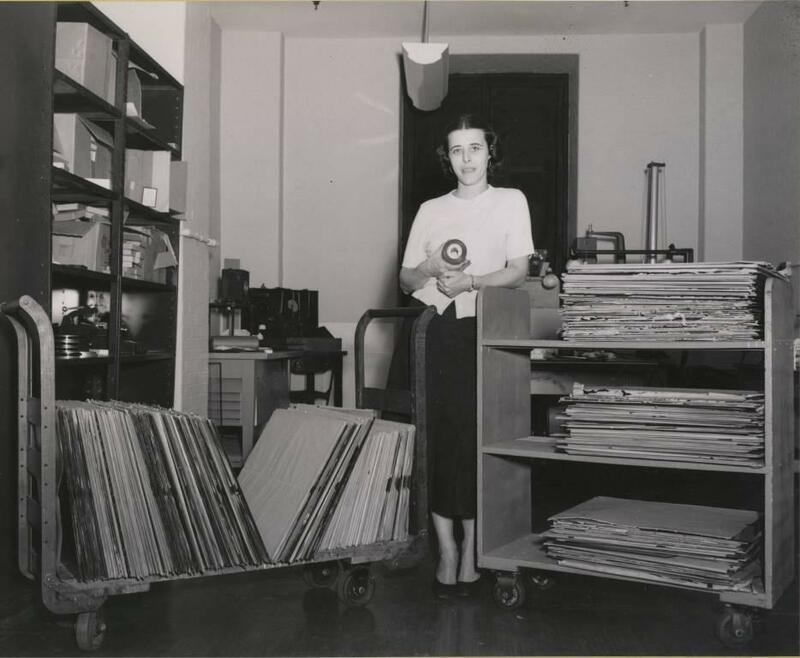 Emily Graves: In a lot ways, reference for electronic records is like a treasure hunt. 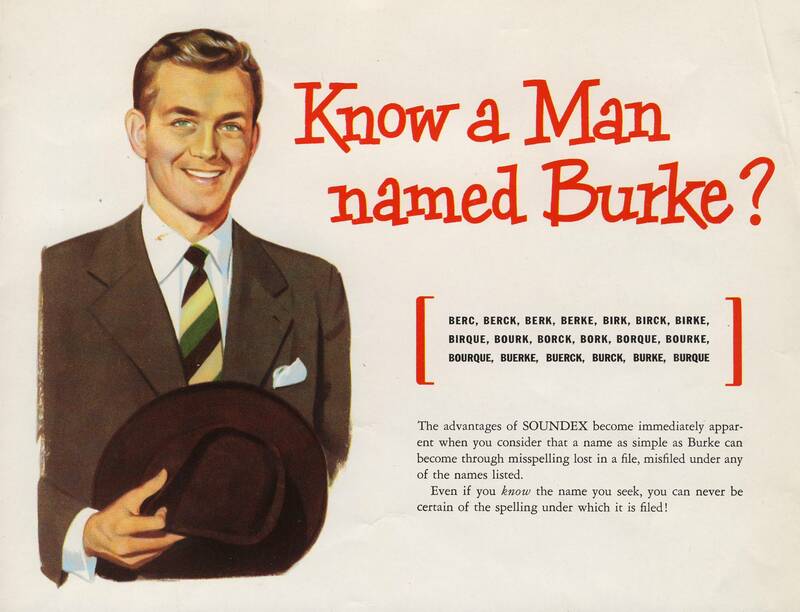 Sometimes the answer is obscured in the history of the records, the documentation accompanying the records, or sometimes it’s obscured in the data itself. We have a lot of tools to get to the X on the map, and learning how to use those tools most effectively is how I’ve begun in this position. John LeGloahec: As a full-time member of the Electronic Records Reference Branch, my work still revolves around answering reference requests, but I spend a lot of my time working on preparing files for the National Archives Catalog, either through a “metadata prep” process or through the “auto-upload” process, where files (primarily .pdf files) are batch ingested into the catalog for direct download. I use to say that I wouldn’t be happy working with electronic records—but now that I’ve been doing it for more than 10 years, I really enjoy my work and am always learning something new. Sometimes the process just needs some tweaking—there’s no reason to reinvent the wheel, but sometimes you need to put new tires on that wheel. 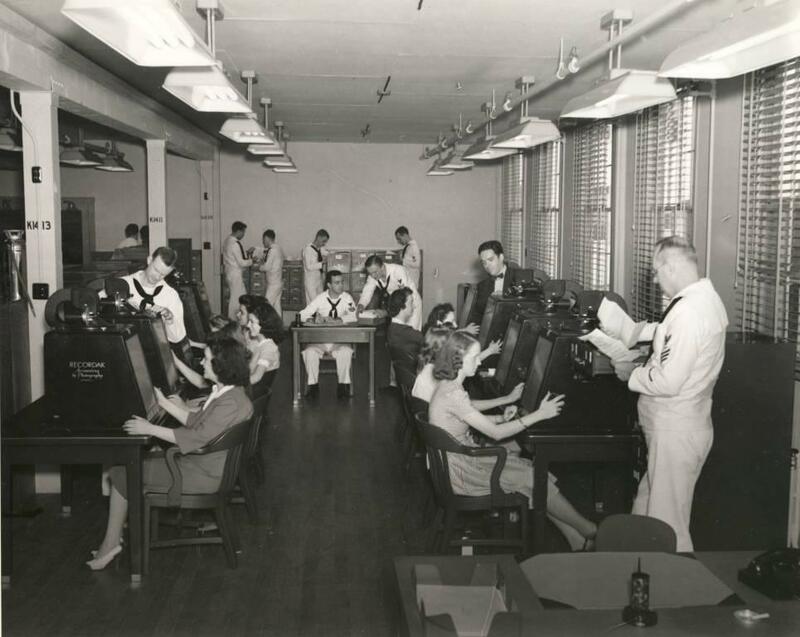 On Thursday March 23 at 2:00pm, John LeGloahec, a staff member from the Electronic Records Division, will offer a Know Your records presentation on "Dead Men (and Women) Sometimes do tell Tales: “Death Records from the Numerical Identification System” for Genealogical Research." The presentation will be broadcast from the William G. McGowan Theater in the National Archives building in Washington DC and also available on the NARA YouTube channel. There is overlap between the three sets, in that a record for an individual may appear in one, two, or all three sets of records. The series contains records for every social security number (SSN) assigned to individuals with a verified death or who would have been over 110 years old by December 31, 2007. There are 49,459,293 death records in NUMIDENT covering the time period 1936 through 2007. 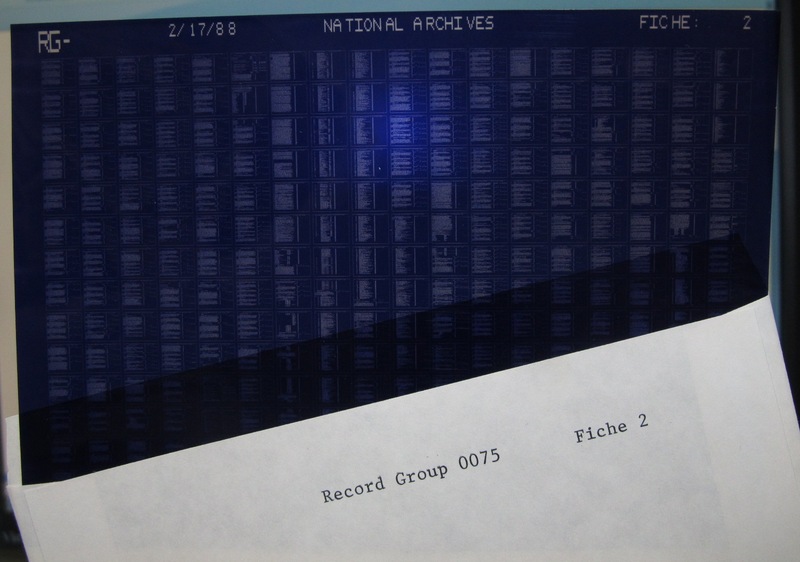 When the records were transferred to the National Archives, there were twenty separate files, which were merged into nine files arranged by last name. At this time, only the Death Records are available for searching on AAD, but we are in the process of making the other two sets of records available in the near future. 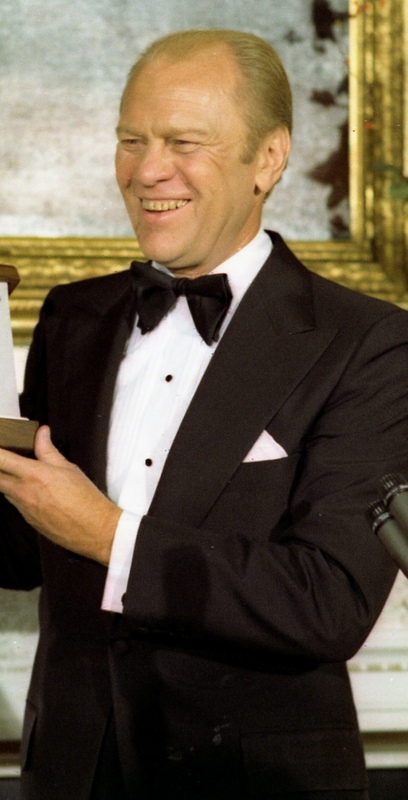 If you are interested in why Lyndon Johnson isn't in the NUMIDENT Death Records, but Gerald Ford is - or find out if Elvis is really dead, tune in Thursday March 23 for this KYR Presentation! A researcher submitted questions about a passenger list documenting Fanny Knowles arrival, hearing, and admission at Ellis Island in 1919. Thirteen year-old Fanny was excluded as an unaccompanied minor, despite the fact she traveled with her adult sister Edith, who was a US citizen. How were families processed when some were citizens and some were aliens? Was Fanny really “alone?” What resources exist to help explain more about Ellis Island (or other US port of entry) processing? These and other questions will be discussed and explored in the USCIS “Your Questions” webinar presentation on March 25th, 2016. Do I have to register for the live webinar?No, pre-registration is not required. From our webinar page click the “Attend Session” button which takes you to the door of a virtual meeting room. Enter your name and email to join the meeting, then follow instructions to call the toll-free phone number for audio. If you have not attended before, be sure to join early so the program has time to load. For more information please see our webinar schedule page.